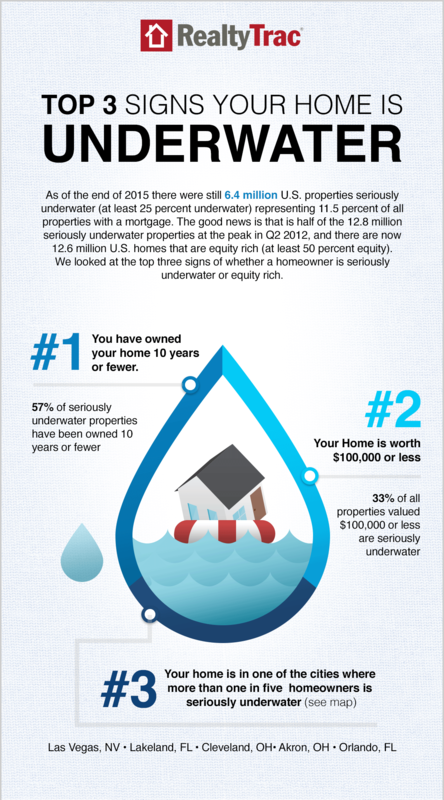 RealtyTrac today released its Year-End 2015 U.S. Home Equity & Underwater Report. The report found that at the end of 2015, seriously underwater properties were down 481,292 from 6.9 million in the third quarter and 616,189 from 7.1 million from a year prior. 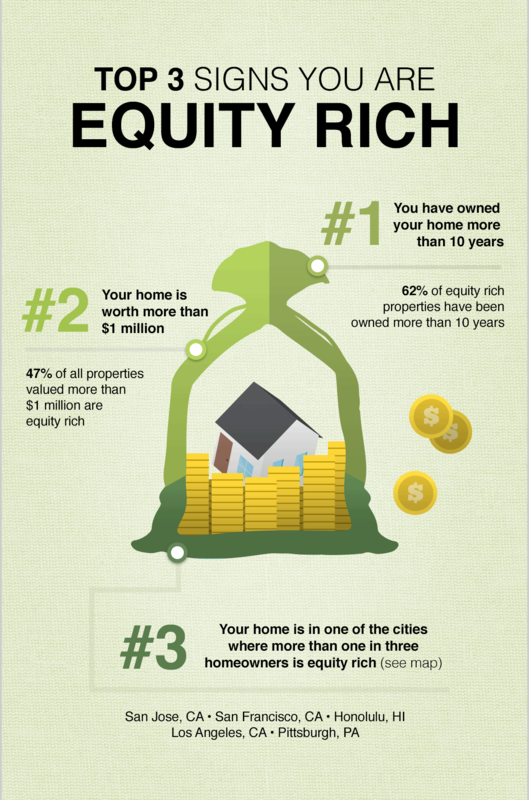 There were 12.6 million (12,621,274) U.S. homes that were equity rich, or at least 50 percent equity. This represents 22.5 percent of all homeowners with a mortgage. At of the end of 2015, 49.7 percent of all homes in foreclosure had some equity, marking the highest percentage since Q3 2013– when RealtyTrac began tracking. This is up from 43.3 percent of all homes in foreclosure with equity at the end of the third quarter of 2015. At the end of 2014, 34.6 percent of homes were equity rich. In the Bay Area, 3.8 percent of foreclosed homes are seriously underwater, which is about 38,719 in the San Francisco-Oakland-Hayward MSA. RealtyTrac reported 487,984 foreclosures that are equity rich, or 47.6 percent. 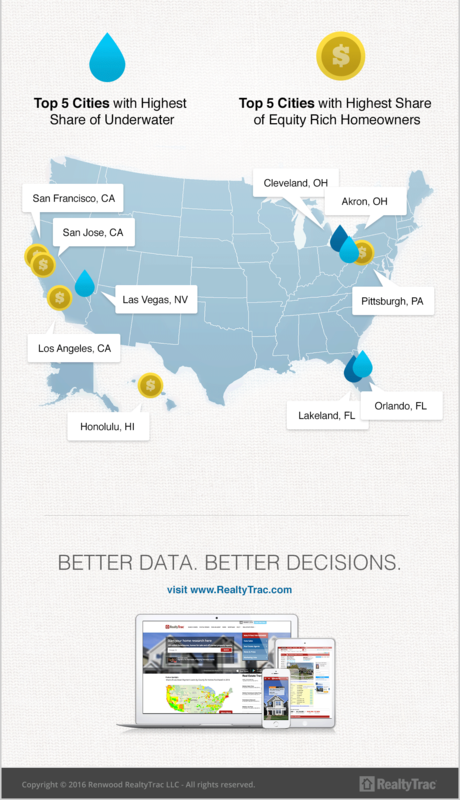 In San Francisco County, RealtyTrac reported of the 378,186 properties, about 2.5 percent are seriously underwater. On a state-wide basis, California had 33.3 percent of homes with equity and 7.8 percent of foreclosures are seriously underwater.